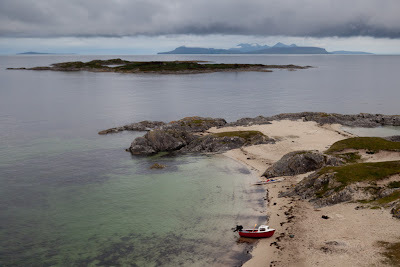 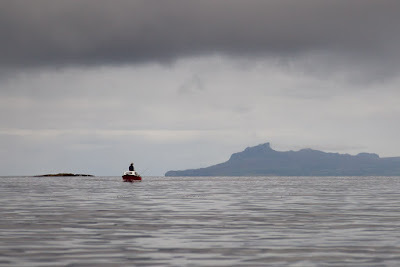 ...set off an hour before high water and turned our backs to the open sea and Eigg, as we wanted to work our way, treading carefully, through the rock strewn North Channel of Loch Moidart. 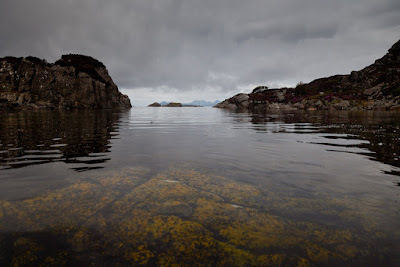 ...and once in, you find the tortuous channel is littered with rocks. Many were barely covered by the big spring tide. 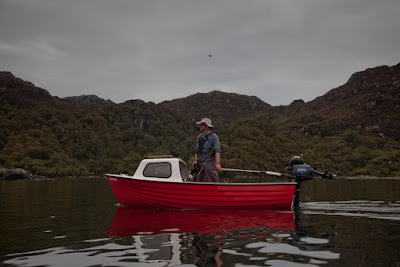 I was quite happy to scrape over the occasional rock in my kayak but Donald needed to be a lot more careful in his boat. 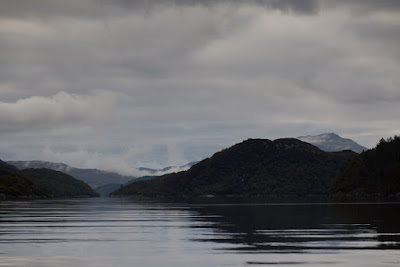 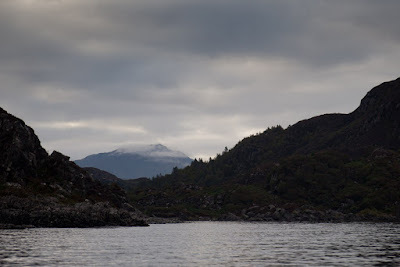 Then we were in and the North Channel stretched away to the misty mountains of Moidart.